transverters-store has no other items for sale. Thanks ! Fast shipping ! Recommanded ! Very happy with this product and seller! Item recive in good condition. A+ fast shipping considering how far it came, haven't tested but looks great. This is very well made and protected from the weather by standard plumbing fittings. 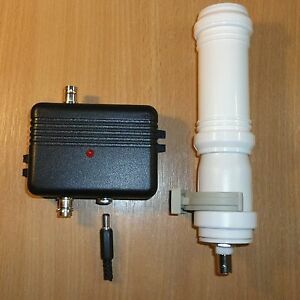 It has a BNC connector which will require waterproofing. This type of antenna will rarely work indoors. It needs to be mounted in the clear and as high as possible. In addition to the MiniWhip, you will need two coaxial chokes, one at the antenna itself and the other at the far end of the feeder, by the bias tee. These chokes are absolutely essential to prevent the antenna from picking up locally generated noise from the outer of its feeder. 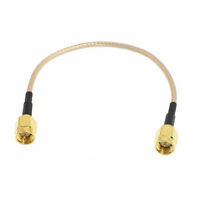 My chokes consist of FT240-43 toroid cores, wound with 5m of miniature 50R coaxial cable (RG316). 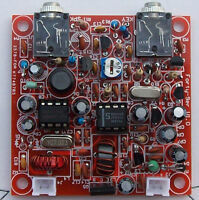 These provide a choke inductance of around 5mH so are quite effective at low frequencies. This seems to be a decent active antenna for its intended purpose. Unfortunately, I can't test it fully since I live in an apartment (thus RFI is ever present) but just stringing it around my apartment it was able to pick up even the weaker AM stations with little effort despite the narrow SNR. So as the seller recommends: put it outside, keep it away from power lines (like all antennas), and use ferrite beads to reduce common mode interference. So if you want this for a house situation where you have a flag pole or a tree in your yard away from the house and power lines I would definitely recommend purchasing one yourself. The build quality of the antenna and power feed unit are great. The only nitpick I would say is the power feed unit should have the fuse not directly soldered to give people who don't have experience with desoldering to replace the fuse if/when it's tripped but for the price this is a minor issue. 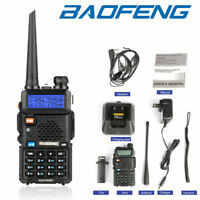 It is very useful receiving antenna. I compared with my 40m. Skywire. Noise is reduced nearly 2-3 Signal on my IC-R9000 meter. It helps to hear DX signals near noise floor. It runs very well while listening NBD stations. Noise are going somewhere. I have already mount it to the top of 6m. metal pole on the 25 meter high building with 20 meter RG58 cable. Metal pole has no direct grounding. May be it willbe better if I can grounding them.